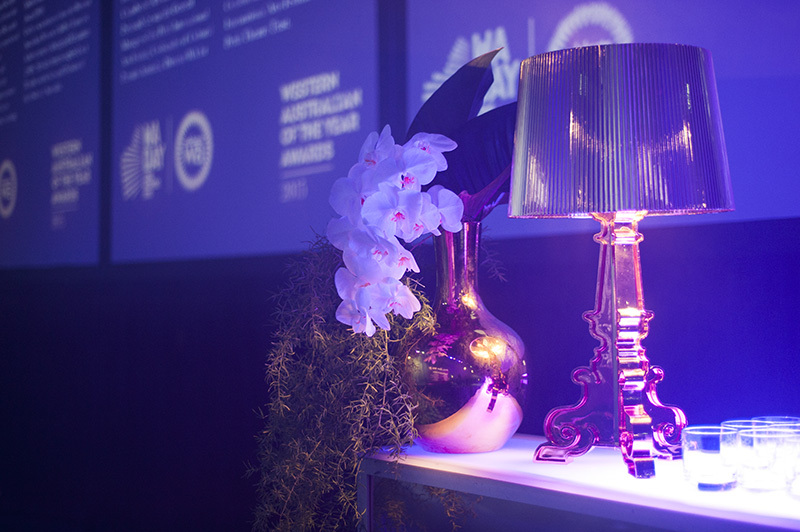 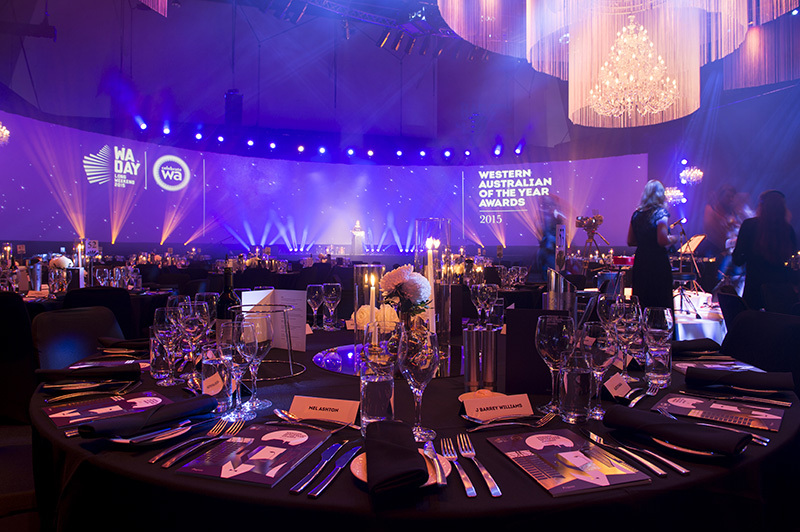 To produce an event for The Western Australian of the Year Awards, which recognise the highest level of contribution made to Western Australia by those born and bred in Western Australia, or those who have chosen to make Western Australia their home. 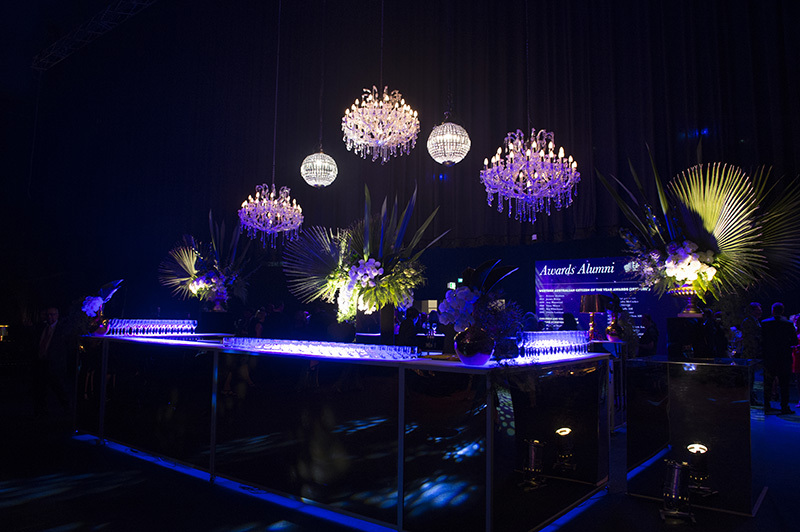 We created an event with three distinct zones, which included a pre-dinner area highlighting the award nominees using high resolution LED screens and custom multimedia, the gala dinner ballroom where the formalities took place on a huge curved 40m projection screen, and a bar area for nominees and attendees to meet and share their stories, surrounded by tasteful decoration and furnishings. 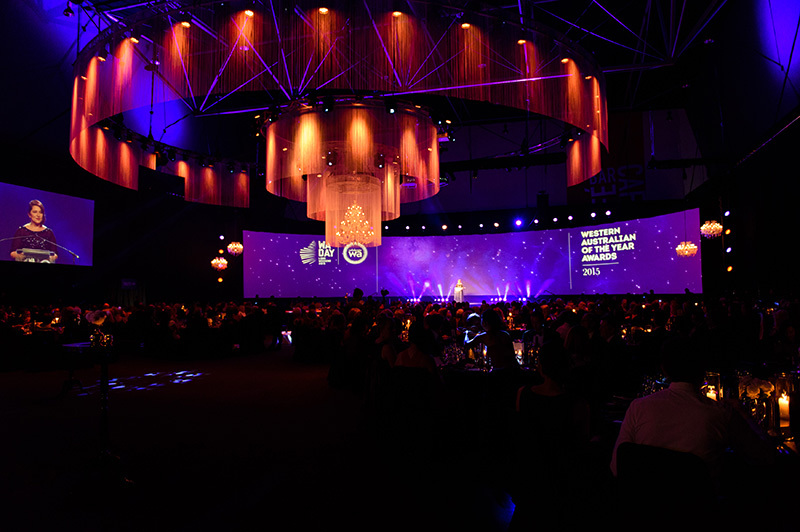 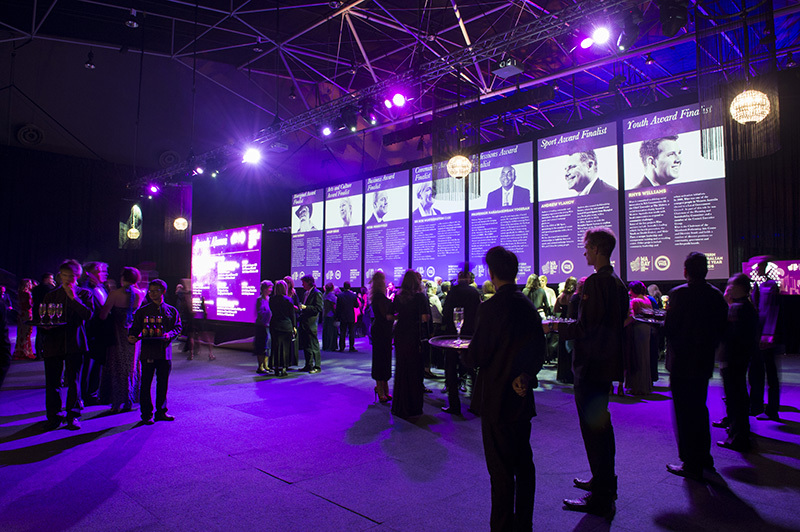 Our attention to detail combined with leading edge projection technology ensured that the award nominees and winners were presented in the best light possible and that their achievements were conveyed successfully.